Ducky 13 is the smallest in the Ducky catamaran family. 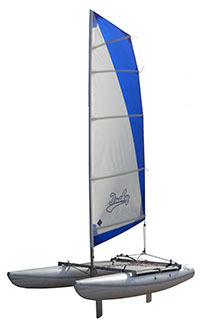 This smallest model is suitable to introduce both children and adults to the fascinating world of sailing. It is an ideal "toy" for active recreation on water, and completely safe with minimal handling skills. In the development of this catamaran we paid special attention to minimizing the number of parts, reducing the assembly time to 20-30 minutes without any tools. The design features no standing rigging. 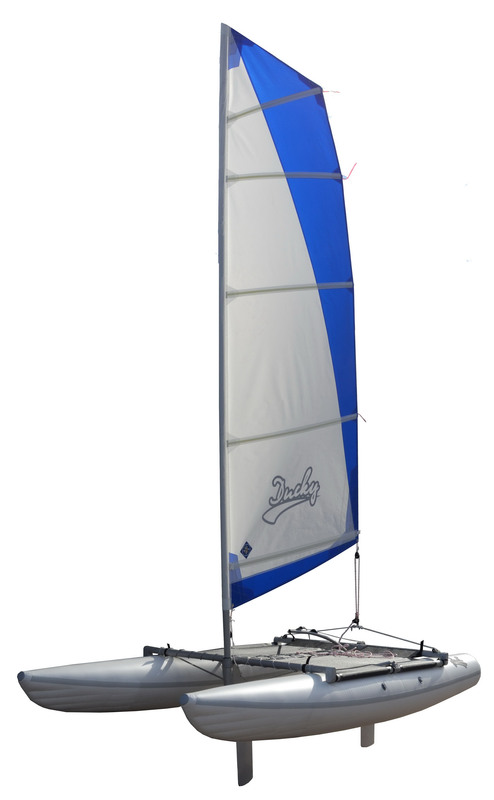 The free-standing mast eliminates the possibility of the catamaran capsizing in a strong wind. Letting go of the sheet is enough to let the sail act as a wind vane. If you are tired of sailing and prefer to just relax sunbathing, simply remove the mast from its socket to turn the catamaran into a soft cot. 1.8 x 0.25 x 0.25 m.